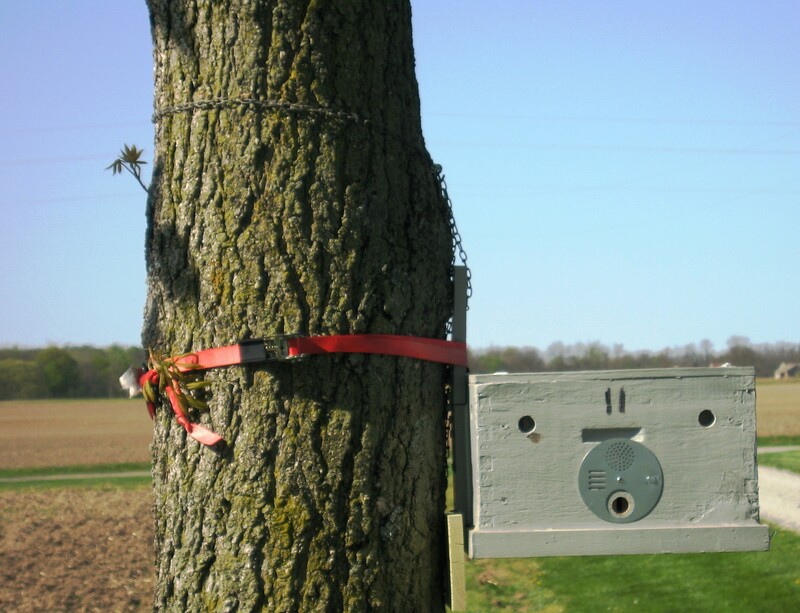 Trap 11 chained to a buckeye tree. I have found a new way to hang many of my traps. Instead of driving nails into trees, I began using light duty chain and S-hooks. It started when my Dad did not want me putting nails into his trees. After some scrounging we chained Trap11 to a buckeye tree. It worked exceptionally well. There are two S-hooks hooked on the same link. I purchased several lengths of chain and some S-hooks late last week and used them to hang 6 traps over the weekend. After several mishaps with traps hanging on nails I am happy to report that those days may soon be behind me. My traps are not very secure on nails until I put the ratchet strap around the tree. Using a short section of chain is easier when by yourself. 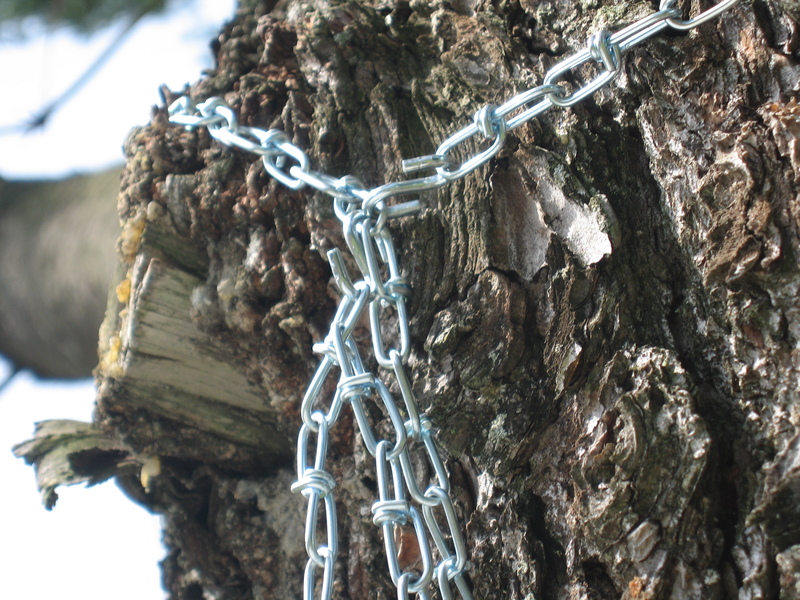 Once the trap is chained around the tree it is secure. You don’t need to worry about it falling off of a nail while getting the strap situated. It also makes it easier to move traps around. If I have a trap out for a month with no hits, it needs to be moved. In the past if I wanted to move a trap I needed at least a hammer. Using chains I don’t need to remember any equipment. If I get off of work early on a nice day I can change some things up on the way home. I know a lot of people who would let me hang a trap in their yard as long as I didn’t drive a nail into one of their trees. What do you think? See any shortcomings that I missed? let me know in the comments…. This entry was posted in Feral Bees, HowTo, Posts, Swarm Trapping, Uncategorized and tagged bait hive, beekeeping, feral bees, Indiana beekepeing, Jason Bruns, swarm trap, swarm trapping. Bookmark the permalink.